Peach-A-Rine. Yes, say it with me … peach..a…rine. Peaches and nectarines combined to form the perfect summer stone fruit. This 50/50 hybrid stone fruit is hardly fuzzy at all and sweeter than the two parent fruits. Don’t blink because their season is short and it’s happening now until early September. This fruit is so sweet, I either wanted to eat it as is or really fancy it up with a variety of flavors that could complement its syrupy goodness. Taking the prosciutto wrapped melon to a new level, I’ve paired this summer delight with savory flavors such as goat cheese and prosciutto. Give it a crostini “crunch” and you’ve got yourself a bite full of flavors and textures that your palate will be begging for more. Lots more. If you would like to experience the wonderful gift of flavor that a peach-a-rine has to offer, you can check your local grocery store for Melissa’s Produce Peach-A-Rines or order them online here. 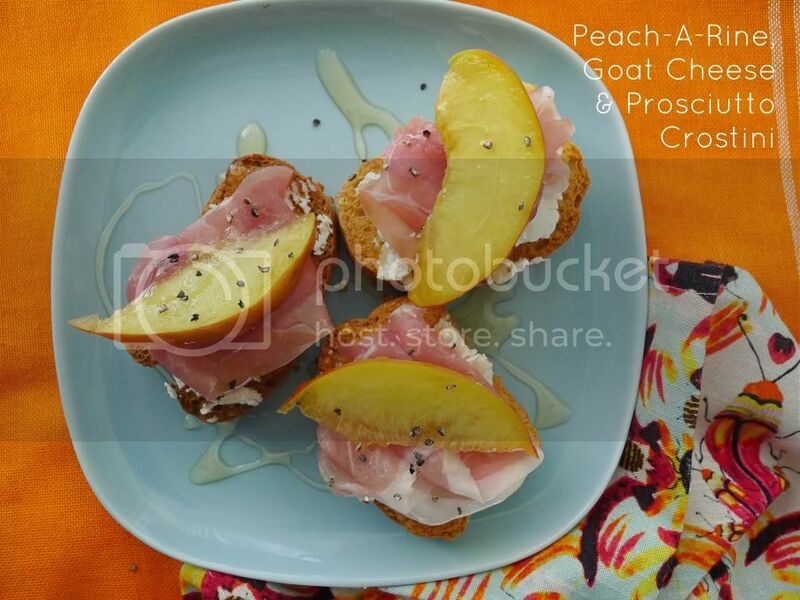 Halve, pit and thinly slice peach-a-rines in wedges. Spread 1 tablespoon of goat cheese on each crostini bread. Place half a prosciutto slice over goat cheese. Drizzle with honey and sprinkle with fresh cracked black pepper.